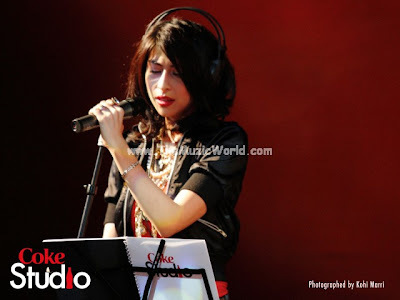 The second act of 3rd episode of COKE STUDIO 3 was Meesha Shafi paying a tribute to the legendary folk singer Reshma with a rendition of the hugely popular ‘Chori Chori’. Re-emerging on Coke Studio, ‘Chori Chori’ is evolved, edgy, experimental, ambient and organic — all rolled into one. To download the song CHORI CHORI by MEESHA SHAFI (COKE STUDIO 3) , click on the links given below. To listen the song, click on the blue PLAY button. this song is not downloaded,i think it have problem with its link. sir some body can help me to contact the great meesha shafi i just want to tell her that i love her voice i am MIRZA AVAIS QARNI.